The Minnesota Homeownership Center released updated data on the aggregate number of Preforeclosure Notices showing the strength of the Minneapolis and St Paul real estate housing recovery. Home Destination, a Minneapolis residential Realtor with RE/MAX Results, is seeing a welcome slowdown in the number of Minnesota preforeclosures, is selling more homes, selling homes faster, and selling them at a better price. "Once you show them that you're trying they're going to help you but you have to try first. And they will help. The earlier you take action, the more options will be available to you." On Monday, October 29th, the Minnesota Homeownership Center released new data on the aggregate number of Preforeclosure Notices received by counselors in the Homeownership Advisory Network for the third quarter of 2012. "Minnesota homeowners, home builders and real estate professionals have been finding new reasons to gain confidence that the Twin Cities housing recovery is real. From the Minnesota legislators to non-profits to hard working homeowners, the efforts have been strong to reduce the number of Minnesota preforeclosures and the new stats prove it is working," says Jenn Thuening, owner of Home Destination. Data reports on the aggregate number of Preforeclosure Notices received by counselors in the Homeownership Advisory Network for the third quarter of 2012 are encouraging for the Minneapolis housing recovery. The numbers are down showing improvements. 10,016 households were notified by their lender/servicer between June and September of 2012 that they may be facing the dreaded news of being in foreclosure if they fail to bring their mortgage payments current. The Good News - Year over year, the numbers continue to show improvement for the number of households that are struggling with foreclosure as the number reflects a decline of 31% from the number received in the same period in 2011. The Twin Cities housing market has been a national leader in its slow-but-stead recovery, given a boost this fall by record-low mortgage rates. Jenna says, "We haven't seen the drop-off in home buyer requests that often accompanies cooler temperatures. It has been a tremendously rewarding season of helping people buy Minneapolis area homes. Home sales are up, homes are selling faster, and at higher prices." More homes are selling, and they're selling faster -- and at higher prices. 1) In Q4 of 2011, members of the Homeownership Advisers Network received 12,016 preforeclosure notices, 30% fewer than during the same time period in 2010. The Report says, "The Not-So-Good News - We saw no improvement when we compare the number received in third quarter with the number received in the second quarter. When comparing the two quarters, we actually see a very minor 0.21% increase." 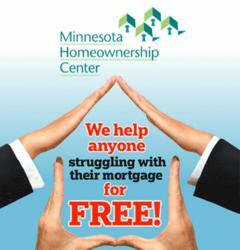 The Minnesota Homeownership Center urges struggling borrowers to "Stay In Your Home". The next encouragement is to take action quickly. "If you are facing a preforeclosure notice, don't walk away from your mortgage without seeking one of these Minnesota resources first," urges Jenna Thuening. Homeowners struggling with mortgage payments often feel alienated, when in fact, they are not alone and thousands of others are also struggling. Home Destination helps put homeowners in touch with relevant Minnesota non-profit organizations available to help put a plan in place to avoid foreclosure. Everyone's circumstances are unique and a one on one conversation often is the best way to determine how to start gaining help as quickly as possible. Minnesotans struggling with foreclose notices and who reach out for help to keep the title to their homes are successful approximately 60 percent of the time, according to the Minnesota Homeownership Center. Exploring options to avoid foreclosure is always 100% free, and available to anyone who simply asks. "The foreclosure process is confusing to many homeowners that have been served a notice. So understanding Minnesota's foreclosure timeline helps explain how foreclosure by advertisement works versus a foreclosure by lawsuit, which is rare, and has a completely different timeline. With a effort to give homeowners the best chance of keeping their homes, varying factors play into the time line. 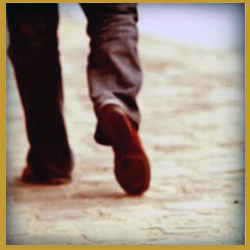 It is really helpful to work with a Certified Distressed Property Expert," states Thuening. Minneapolis and St Paul area homeowners seeking the help of a local Certified Distressed Property Expert to stop foreclosure may call Jenna Thuening, owner of Home Destination at 612-396-7832.